A new Harvard study showed that people suffering from dizziness have a 70% higher risk of early death. Dizziness is one of the most common symptoms in neurology. There are different forms of dizziness as well as different causes. Often the complaints are not taken seriously, but the new study suggests that this could be a fatal mistake. The Harvard Medical School study included 210 million participants. Participants suffering from dizziness or vertigo had a significantly increased risk of death compared to those not suffering from vertigo. The researchers showed that dizziness is an independent risk factor of death and declared dizziness as the 5th common cause of death next to stroke (18.7 percent), cancer (11.6 percent), cardiovascular disease (10.5 percent) and diabetes mellitus (9.8 percent). 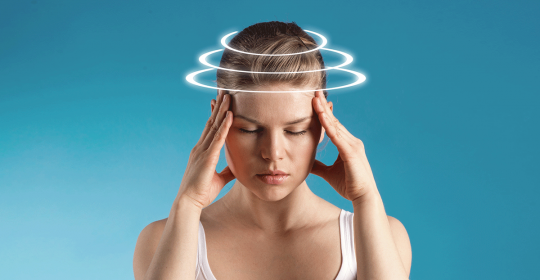 Dizziness is common and can manifest itself differently. Those affected by a spinning vertigo have the feeling that the environment is spinning around them. Patients suffering from a staggering or swaying vertigo have the feeling that the environment moves back and forth. Other forms of vertigo can go along with the feeling of an up and down movement of the surrounding similar to an elevator ride. Vertigo might have various causes including psychological diseases such as anxiety disorders. However, the results of the Harvard study showed that dizziness is a symptom that needs to be taken seriously. It might be a sign of a brain tumor, a stroke, a lesion in the brain stem and others. The researchers therefore consider it appropriate to allow dizziness to play a greater role in healthcare. If the causes are recognized early and treated, it may be possibly to prevent early death. Depending on the cause of dizziness different treatment options are available.